“We’ve taken a lot of hits in Lake County, but now the whole state’s on fire.” So spoke Lake County supervisor Rob Brown. 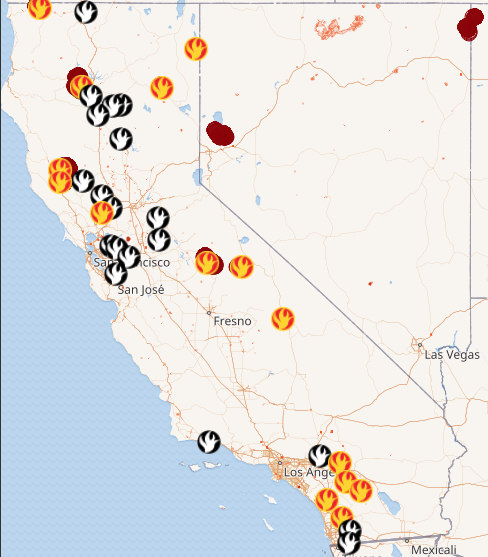 Indeed, from the Oregon border (the Natchez Fire) to close to Tijuana (the Building Fire), fires are raging throughout the state — 30 in all (including those partially contained). They are coming earlier in the season, hitting harder and are more difficult to control. Nor is it just California. 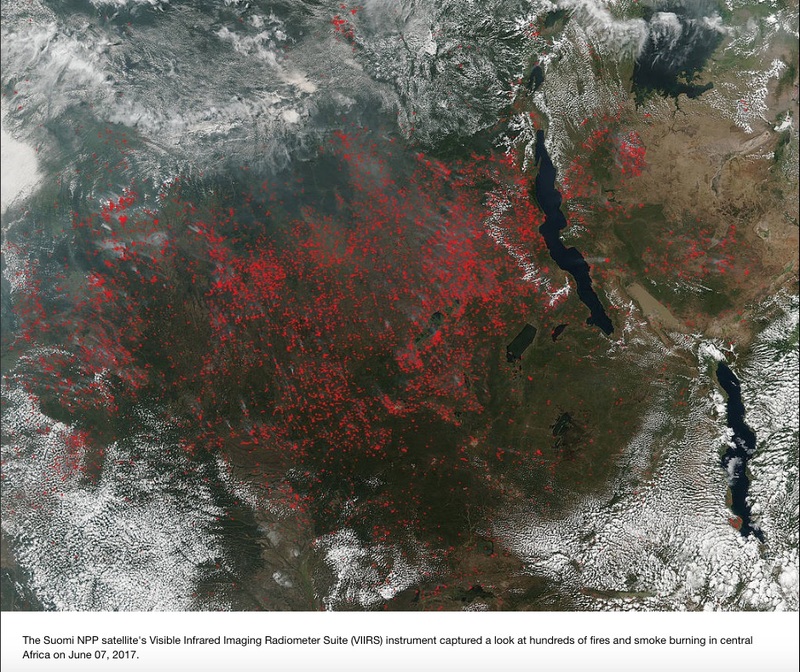 Throughout the Western United States, we are seeing a massive increase in wildfires, and this is just the beginning. 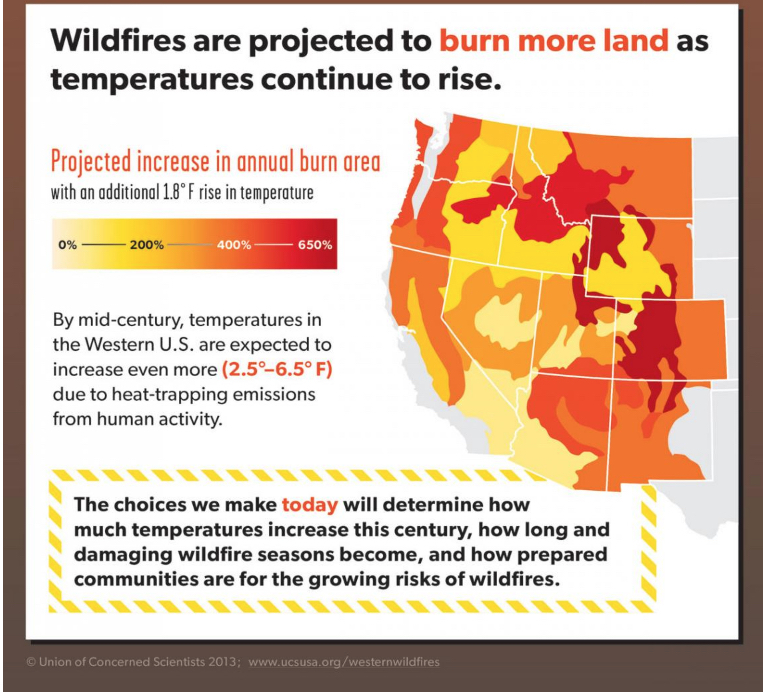 “Over the next two decades, as many as 11 states are predicted to see the average annual area burned increase by 500 percent… That would mean a small fire, say 100 acres, becomes, on average a 600 acre fire” throughout the West, according to this report. This massive change will, among other things, affect the forest areas themselves. Combined with the tendency towards long term drought, this will mean heavily forested areas will tend to be transformed into dry scrub land. “Human” caused or capitalism caused? We all know what is happening: Global climate disruption. And, no, it’s not caused by god, nor by “people”; it’s caused by capitalism. Unable to do anything but strive for the quickest, most immediate short term profits, capitalism is destroying the environment and taking the future of all life on the planet with it. And the representatives of capitalism are burying the issue. 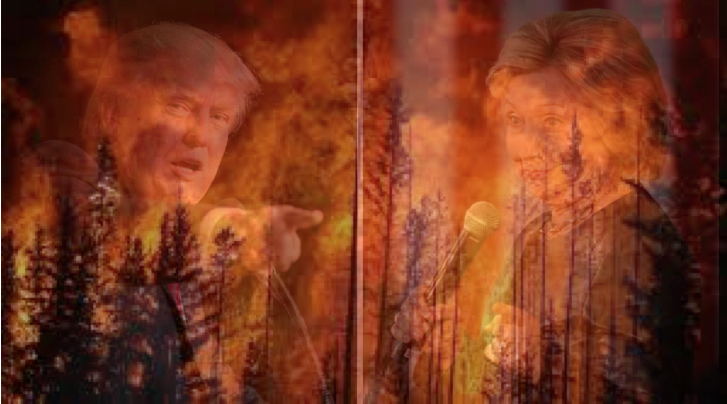 Trump, famously, has called global warming a “hoax”. He has combined this with his xenophobic anti-China propaganda, claiming that “the Chinese” are responsible for this “hoax.” And the Democrats? Trump’s position was well known before the 2016 elections. Yet during the campaign, Hillary Clinton did not raise the issue of global warming once. Nor, during the “debates” between these to capitalist representatives did the moderators raise the issue. It was buried because it’s too explosive. It is the most dramatic proof conceivable that it is capitalism, with its inability to plan anything, that is the real cause of the disaster the planet is facing (and the human species along with the planet). 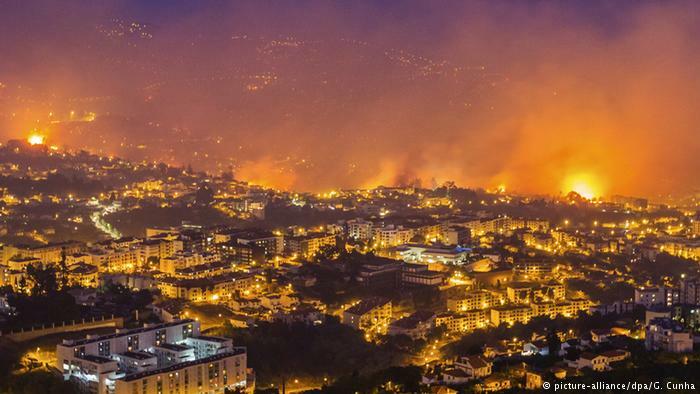 The wildfires raging around the world are a sign of planet emergency. And the silence of the capitalist politicians is a sign that they know that it is capitalism itself that is at fault. US Perspectives: From one shock to another!